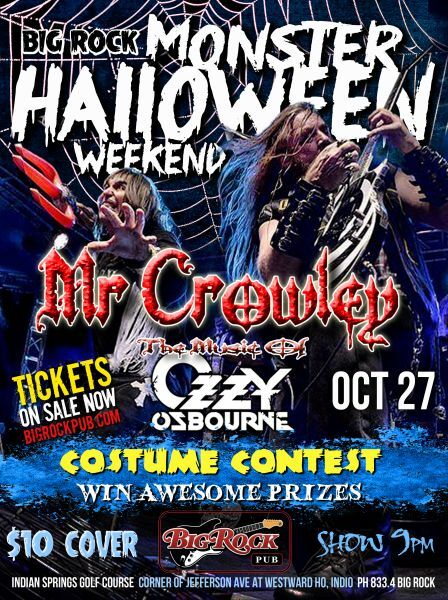 The "World's Greatest Ozzy Osbourne Tribute Band" according to AXS TV! Tickets are general admission, and seating is first come, first served. Inside main restaurant seating is reserved for those dining ($20 minimum per seat please, and thank you for supporting our live music program). Family friendly until 10 pm. Come dressed in your Halloween best - there will be prizes!